Oxfordshire's Commitment to Carers was officially launched during Carers Week 2018 (11-17 June) following more than two years of partnership working between carers and health and social care organisations in the county. 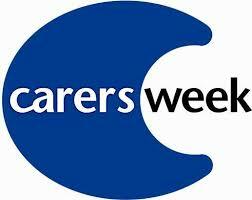 together with Action for Carers Oxfordshire including Carers Oxfordshire and Oxfordshire Young Carers Service. Sam Foster, Chief Nurse at Oxford University Hospitals, launched the new Oxfordshire Commitment to Carers at an event on 12 June. By signing up to the Commitment, each organisation is declaring that it will recognise, value, support, and listen to carers. A carer is someone of any age who looks after a relative, partner, friend or neighbour who has an illness, disability, frailty, or addiction. The help they provide is not paid for as part of their employment. The care may be personal, emotional or supervisory. They may or may not live with the person for whom they care. The Here for Health Improvement Advice Centre is a service available for OUH staff, patients and visitors, to access support with healthy living and health behaviour change. The advisors have teamed up with Kay Francis (details given above) to specifically promote the use of the service by informal carers. The service can also refer/signpost to relevant community services for ongoing support. South and Vale Young Carers is a charity offering free, friendly, confidential advice and support to young carers. free respite trips and activities for young carers - for more details please contact the South and Vale office. We offer young carers free confidential advice by telephone, or by pre-arranged appointments with an outreach worker at your home. Our services include emotional support, respite day trips and activities. This information is for young carers, parents, carers and/or professionals working with young carers and their families. Are you visiting a friend or relative with dementia in hospital, or caring for someone with the condition? Why not join us for tea, biscuits and an informal chat about the support available? The café is trialling a new location - in the League of Friends Café on Level 2. Drinks can be obtained free of charge from the café for those seeking advice and support about dementia. Representatives from Alzheimer's Society, Carers Oxfordshire and Dementia Champions for the Trust will be on hand to answer questions and give advice. Would you be interested in knitting a 'twiddle muff' for one of our patients? Find out more from our fact sheet. Please use the link below to access information about staying in hospital.